Udaipur: Hindustan Zinc, India’s only and world’s leading integrated Zinc – Lead – Silver producer, has been consistently working towards safety, protection of environment, conservation of energy & water and building infrastructure. In recognition of these initiatives, Hindustan Zinc has emerged as the only mining & metal company in India that has been listed in the Sustainability Year Book 2018. Overall 9 Indian companies are qualified for inclusion in this Yearbook. Every year since 2004, the Sustainability Yearbook has listed the world’s most sustainable companies in each industry as determined by their score in Dow Jones Sustainability Index (DJSI) assessment. RobecoSAM does the assessment for Dow Jones. This year 2479 companies in 60 industry sectors from 43 countries were assessed and 478 companies qualified for inclusion in RobecoSAM’s Sustainability Year Book 2018. 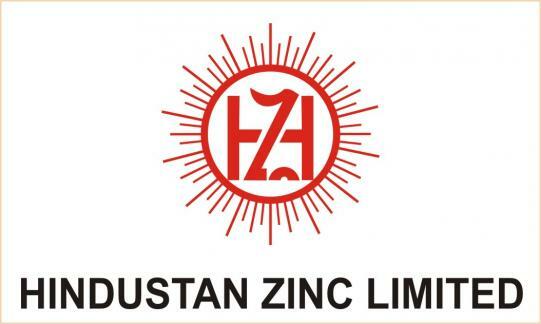 Hindustan Zinc has been ranked 11th globally with a percentile score of 82 and also ranked 3rdglobally in environmental dimension, in the Industry Group – Mining and Metal. Sunil Duggal, the CEO of Hindustan Zinc said, “Inclusion in Sustainability Yearbook is a matter of pride for us and this recognition is another milestone for Hindustan Zinc and reiterates our focus and efforts towards environment, health, safety and governance. We are amongst the 9 Indian companies and the only metal and mining company to get featured in the Sustainability Year Book – 2018. Sustainability has always been our priority and we will continue to demonstrate the leadership in Safety, Occupational Health and Resource Conservation to achieve our Sustainability vision of Zero harm. Hindustan Zinc is currently working to streamline sewage system in Udaipur, where it has its head office; one of the worlds’ most sought after tourism destination in the state of Rajasthan in India. The sewage generated by the city was a potential threat to the environment and the aesthetic look of the lakes. The only option was to build Sewage Treatment Plant, and establish a well-organised modern sewage disposal network. This is when Rajasthan Government and Hindustan Zinc joined hands and built Rajasthan’s first Sewage Treatment Plant that is treating 20 million litres of Udaipur domestic sewage per day. With the success of first phase, Hindustan Zinc is now tripling the capacity to treat 60 million litres of Sewage per day, which is almost 100% treatment of domestic Sewage. The entire project is being undertaken with a cost of about Rs. 250 crore. “If we have to build Swachh Bharat and Swasth Bharat, it is important to build clean cities across India that has a structured, well planned and efficient Sewage Disposal System. Taking this forward, Hindustan Zinc has taken this project to streamline Udaipur Domestic Sewage under close partnership with Government of Rajasthan. In case, we assess need for further expansion of the project, we will execute that as well”, says Sunil Duggal, CEO, Hindustan Zinc. Hindustan Zinc also has 274 MW of wind power farms in Gujarat, Karnataka, Rajasthan, Tamil Nadu and Maharashtra. The company is now entering into solar energy with an investment of Rs. 630 crore. Out of the 115 MW planned, the company has already installed 16 MW of solar plants and the rest about 100 MW is expected in near future. The Head Office of Hindustan Zinc at Udaipur utilizes solar energy from rooftop solar plant. Hindustan Zinc also generates about 34.4 MW of power through waste heat recovery from roasters and a Steam Turbo Generator (STG). Company’s 10 UNFCCC registered projects reduce the carbon footprint by 5,83,685 tonnes of Carbon dioxide emission per annum, while the unregistered projects reduce our carbon footprint by 1,16,992 tonnes of Carbon dioxide emission per annum. The company has recently successfully commissioned first ever Paste Fill Plant at its Sindesar Khurd Mine and Rampura Agucha Mine. 100% generation of power plants-Fly ash and ISF Slag is being utilized in cement manufacturing. Thus, while reducing waste inventory, these materials are facilitating the conservation of resources in the cement industry as well. In a step towards managing the industrial waste-Jarosite-generated during the operations, Hindustan Zinc is working towards introducing an advanced technology-Fumer Technology. Zinc Fumer Plant not only deviates from the process of formation of Jarosite, instead, recovers the metals from the waste. The company’s innovative ‘Cansolv Technology’ in the Lead Plant controls SO2 emissions and converts it into Sulphuric Acid. Hindustan Zinc has also installed Tail Gas Treatment (TGT) Plants at its smelters that reduce SO2 emissions below the prescribed limits. The technology adopted does not produce waste and effluent. In the efforts towards Zero Harm & Zero Discharge and conservation of the biodiversity, Hindustan Zinc has planted more than 1.5 million plants around its operations. Hindustan Zinc has also created an endangered plant nursery at its Rampura Agucha Mines and Kayad mines, a peacock conservation park at Kayad mines and Butterfly Park at Pantnagar. As a benchmark the Head Office of Hindustan Zinc in Udaipur, Yashad Bhawan, has been recognized as Rajasthan’s first platinum-rated green building by the CII-Indian Green Building Council (IGBC) and it is one of the 14 CII-IGBC buildings in India that have a platinum rating.